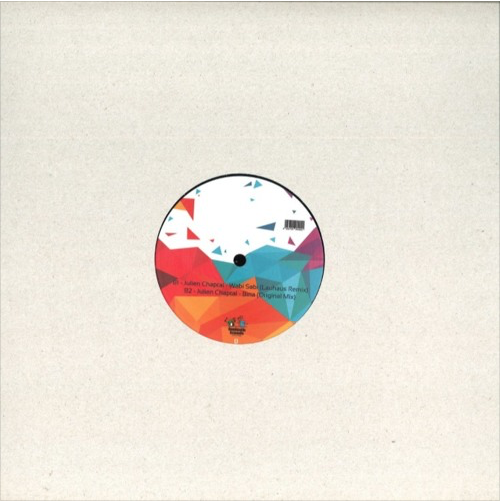 Amsterdam-based producer Julien Chaptal delivers another peculiar & consistent EP on FFR ! Gilb’R Gt’R is a great techhouse-tool with a punchy bass-line and psyche-ish atmospheric background. A weapon to wake up the audience when people get tired on the floor! Ho Bina is a deeper and dirtier vision of what groove can be! Chaptal flirts with acid in a very stylish way and invites the listener to enter his own personal sweaty naughty techno fantasma.Wabi Sabi sets the balance between Gilb’R and Ho Bina: a psychedelic twist over a bright techy groove and a powerful funky bass-line. Smooth and dance-ish AF. Lauhaus’ remix of Wabi Sabi crosses the border of acid house with a pinch of fresh groove that brings this version its originality and hypnotic flair. Close your eyes and let it be.